What is EB-5 Visa Program? If you are an investor looking for great investment opportunities offering multiple additional benefits, you may want to take a look at the EB-5 program offered by the United States. This program was created by the U.S. Congress in 1990 after the Immigration and Nationality Act was passed. It offers an opportunity to foreign investors to invest in the United States and fast track their application for a U.S. green card and citizenship. Foreign investors have the option of directly investing either $1 million to create 10 direct full-time jobs for Americans, or just $500,000 in a Targeted Employment Area (TEA) through a regional center and create 10 direct or indirect full-time jobs. This is why the full form of EB-5 Visa is Employment-Based Fifth Preference Visa. How Does the EB-5 Green Card Benefit Foreign Investors? Since there is no waiting list for getting EB-5 Green Card, the moment the investor is approved by the United States Citizenship and Immigration Services (USCIS), the investor and the immediate family receive the Green Card, allowing them access to all services that any US citizen is eligible for. The immigrant investor necessarily has to invest capital to start a for-profit business in the United States. Depending on the type of investment project the investor participates in, the minimum capital investment can be $1 million or just $500,000. If the investor wants to start a business as an individual, he or she needs to invest $1 million and ensure the investment creates 10 direct, full-time jobs for Americans. Here, indirect jobs created by setting up the business are not taken into consideration. On the other hand, investors can approach a regional center approved by the U.S. government and be a part of the investment opportunities the center has. In this case, the immigrant investor has to invest $500,000 in a Targeted Employment Area. This is an area where the unemployment rate is high; the rate has to be at least 150 percent of the national average and the area should have a minimum population of 20,000. The investment again needs to create 10 full-time jobs for Americans, but here they can be direct or indirect jobs. Find out more details about all Eligibility and Requirements. 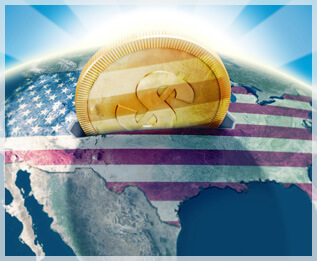 Under the EB-5 program, there are private, public and public-private organizations that are approved and authorized by the U.S. government to accept investments for certain industries. These organizations are known as regional centers. These centers offer ready-made opportunities to invest. They take away the stresses of meeting the requirements of the EB-5 program. Investing through a regional center is ideal for those immigrant investors, who want to acquire U.S. green card without expecting high return on their investment. Investors do not have the responsibility to manage or handle their investment and this is what makes it so attractive. Today, nearly 90 percent of the EB-5 applicants invest their capital via regional centers. Whether the foreign investor decides to invest as an individual or through a regional center, there are certain job creation requirements that the investor has to fulfill to be eligible for the EB-5 visa. The first step is determining whether the foreign investor has the capital investment to invest within the United States. Thereafter, the investor either comes up with a business plan to invest and create 10 full time jobs or chooses a regional center to look at the investment opportunities. Usually, investors opt for regional centers, as it is a less burdensome process. After depositing the minimum capital investment into escrow, the investor fills out an I-526 petition to submit to the USCIS. After obtaining conditional permanent residency, the investor has 2 years to create a minimum of 10 full-time jobs for American workers. There are three basic steps in the EB-5 investor visa application process. Fill and submit the I-526 application to the USCIS to show the investor has made an EB-5 investment. This investment can be in an individual capacity or through an approved regional center. After the I-526 application is approved by the USCIS, the investor then files the I-485 or DS-230 application. This application is to get conditional permanent resident approval, thereby letting the investor and immediate family get U.S. Green Card. After 2 years, when the foreign investor meets the EB-5 requirements, he or she has to file the I-829 application to remove the conditions of residency. This allows the investor, spouse and unmarried children under 21 to receive 10-year U.S. Green Cards and paves way for filing an application for citizenship after 5 years. Express interest in an available EB-5 business project offered by EB5Visa, LLC. We currently offer a hotel project for EB-5 investors. Prove financial capability. The investor has to prove that they have sufficient capital investment to invest in the project and this investment should be from lawful sources. Filing form I-526. This is one of the first forms an Investor will fill as part of applying for an EB-5 visa. The form will be submitted to USCIS with the help of EB-5 attorney. 2-year Conditional Permanent Residency. Upon approval of the I-526 form, if the immigrant investor has already arrived in the United States, they are allowed to change their residency status to 2 conditional permanent residency. Filing I-829 petition for permanent residency. After 2 years while filling this form an investor has to prove that the investment has created 10 direct full-time jobs of U.S. citizens. Check the details of entire process to apply for EB-5 Visa. The future of EB-5 visa looks bright, as more and more foreign investors have become aware of the visa and its use and benefits. Foreign investors view the EB-5 program as a way to accelerate their U.S. residency and ultimately citizenship and are keen to engage regional centers that are approved by the government. Even among politicians and bureaucrats responsible for economic development programs, the EB-5 program has won approval since it has been responsible for creating thousands of jobs for American citizens and also generated a lot of money for the economy. The program has proven to be beneficial for all stakeholders – foreign investors, American citizens and the U.S. economy. The biggest success of the EB-5 program was seen from 2008, when the U.S. was experiencing an economic downturn. It is reported 75 percent of all EB-5 visa have been issued since 2008. In fact, the USCIS has increased the number of employees manning this program from 10 to 50. It also has been reported the hotel industry has received the maximum benefit from the EB-5 program, as large number of foreign investors view hotels as safe investment vehicles that can thrive in any part of the U.S.